Showing results for tags 'marines'. 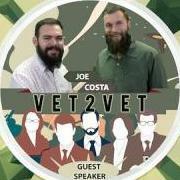 Please, welcome new VET2VET podcast episode: https://youtu.be/9paX1-FyCaI Today we’re talking about SERVICE CONNECTION. When we talk about service-connecting a medical condition, disease, injury or illness to military service, we are talking about proving the relationship between the two. 1) Direct Service Connection 2) Service Connection by Aggravation 3) Presumptive Service Connection 4) Secondary Service Connection 5) Service Connection due to Injury Caused by Treatment in the VA Healthcare System 6) Special Service Connection Rules for Post-Traumatic Stress Disorder ★ JOIN US IN OUR COMMITMENT TO YOU AND OUR FELLOW VETERANS ★ ▶ facebook.com/VETOVET2 ▶ itunes.apple.com/us/podcast/vet2vet/id1077206523?mt=2 ▶ twitter.com/VETOVET2 ▶ youtube.com/c/VETOVET2 ▶ plus.google.com/u/0/+VETOVET2 ▶ goo.gl/app/playmusic?ibi=com.google.PlayMusic&isi=691797987&ius=googleplaymusic&link=https://play.google.com/music/m/Iiqawbuzg7eviiyqm6xz7kju62m?t%3DVET2VET ▶ feeds.soundcloud.com/users/soundcloud:users:198832065/sounds.rss ▶ soundcloud.com/vet2vet ▶ stitcher.com/s?fid=80842&refid=stpr ★ LIMITED LIABILITY CLAUSE ★ THE INFORMATION AVAILABLE THROUGH THE VET2VET MAY INCLUDE INACCURACIES OR ERRORS. CHANGES ARE PERIODICALLY ADDED TO THE INFORMATION HEREIN. VET2VET MAY MAKE IMPROVEMENTS AND/OR CHANGES OF THE CONTENT AT ANY TIME. ADVICE RECEIVED VIA VET2VET SHOULD NOT BE RELIED UPON FOR PERSONAL, MEDICAL, LEGAL OR FINANCIAL DECISIONS AND YOU SHOULD CONSULT AN APPROPRIATE PROFESSIONAL FOR SPECIFIC ADVICE TAILORED TO YOUR SITUATION. IF YOU ARE DISSATISFIED WITH ANY PORTION OF VET2VET, YOUR SOLE AND EXCLUSIVE REMEDY IS TO DISCONTINUE CONSULTING VET2VET. Please, welcome new VET2VET podcast episode: https://youtu.be/sTH3p-WwXn0 The way VA defines The word "permanent" slightly differently. For that matter, the word total doesn't mean total when discussing a disability. These are just terms to VA. There really isn't a protected rating. Any rating can be modified by VA at any time, depending on the circumstances. How do you know if your benefit is P & T? What is IU? What is substantially gainful employment? Are there any other eligibility requirements? How is the way VA decides total disability different from other agencies? TDIU awards may be permanent or they may be temporary. If I get a 100% rating, should I continue fighting the VA for benefits? SMC compensation Can you think of any other scenarios were a Veteran might want to keep filing to VA after they reach a 100% rating? ★ JOIN US IN OUR COMMITMENT TO YOU AND OUR FELLOW VETERANS ★ ▶ facebook.com/veterantoveteran/ ▶ itunes.apple.com/us/podcast/vet2vet/id1077206523?mt=2 ▶ twitter.com/veterantovetera/lists/vet2vet ▶ youtube.com/channel/UCebXFpogeJ9r4EqRyxHriYQ ▶ plus.google.com/u/0/+VETOVET2 ▶ goo.gl/app/playmusic?ibi=com.google.PlayMusic&isi=691797987&ius=googleplaymusic&link=https://play.google.com/music/m/Iiqawbuzg7eviiyqm6xz7kju62m?t%3DVET2VET ▶ feeds.soundcloud.com/users/soundcloud:users:198832065/sounds.rss ▶ soundcloud.com/vet2vet ▶ stitcher.com/s?fid=80842&refid=stpr ★ LIMITED LIABILITY CLAUSE ★ THE INFORMATION AVAILABLE THROUGH THE VET2VET MAY INCLUDE INACCURACIES OR ERRORS. CHANGES ARE PERIODICALLY ADDED TO THE INFORMATION HEREIN. VET2VET MAY MAKE IMPROVEMENTS AND/OR CHANGES OF THE CONTENT AT ANY TIME. ADVICE RECEIVED VIA VET2VET SHOULD NOT BE RELIED UPON FOR PERSONAL, MEDICAL, LEGAL OR FINANCIAL DECISIONS AND YOU SHOULD CONSULT AN APPROPRIATE PROFESSIONAL FOR SPECIFIC ADVICE TAILORED TO YOUR SITUATION. IF YOU ARE DISSATISFIED WITH ANY PORTION OF VET2VET, YOUR SOLE AND EXCLUSIVE REMEDY IS TO DISCONTINUE CONSULTING VET2VET. Hello. This is my first post on hadit. I joined this forum because it seemed like a great place to connect with United States veterans and their loved ones. By the end of this year, there will be less than a million living World War II veterans. It’s more important than ever to share the stories of service from those who fought bravely for our country. I’m representing Glimpses Into History, a project of the Clovis Veterans Memorial District, in finding veterans willing to share a video testimonial of their experience as a soldier. The CVMD has created a way for veterans to record their stories from any Webcam-enabled computer. Those stories are then published to an online directory, so that anyone can view the veteran’s personal experience and share it with the world for free. Thank you, and I look forward to contributing positively to this community.